Here is one of the first outsoles that I designed. 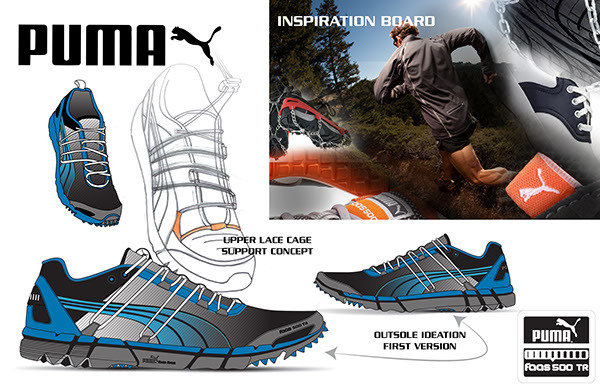 The design challenge was to come up with a new trail outsole for PUMA's faas tr collection. 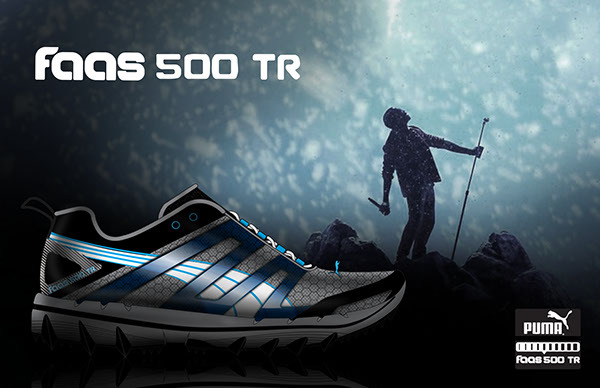 I have learned a lot and have produced many shoes since this project, yet I am still very proud of this design. 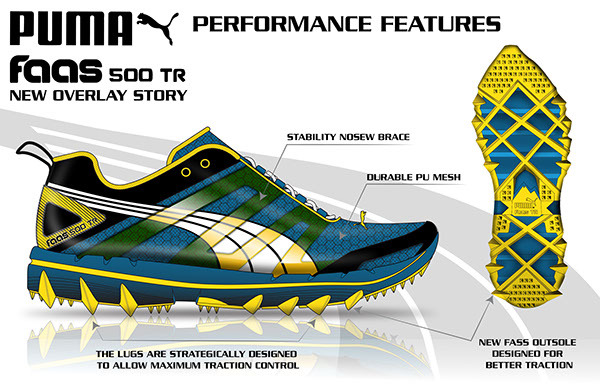 PUMA liked it and this Outsole is still being updated and used, currently on the PUMA's website. I hope you like it, Enjoy!